This class will be teaching how people knit in Eastern part of Europe. In this way of knitting, yarn is controlled by the finger of your left hand – like in continental knitting, but stitches are done differently. It is very fast way of knitting and according to Ann Modesitt (who named it combination knitting) produces more uniform fabric. Needles and some yarn which you are comfortable knitting with. 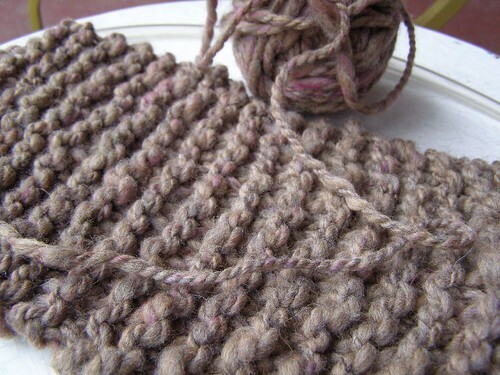 Thicker yarns (worsted weight and thicker) may be more suitable than thinner. Joanna Romaniuk was born and raised in Poland. That’s where she learned to knit as a child. She does not remember how. Knitting was just something (besides cooking and sewing and so on) that women were doing. It was only after she came to US in 1989 that she realized that there could be another way of knitting. She taught both her daughters to knit the same way as she does. Teaching more people how to do it is a new endeavor for her, but she a lot of experience in teaching at school (K-12), college and work. To inquire about or register for classes, send an email to cosymakes@gmail.com. All classes cost $30, to be paid in advance via check or paypal. Some classes have a material fee to be paid to the instructor at the time of the class.